The Gerald J. Friedman Center for Breast and Lymphatic Surgery is designed for women with breast cancer or a genetic predisposition for the disease. Northwell Health has opened a $3 million, 4,600-square-foot outpatient reconstructive breast and lymphatic center at 600 Northern Blvd. in Great Neck. The New Hyde Park-based health system said the new facility is designed to provide pre- and post-operative care for patients with breast cancer or a genetic predisposition for the disease. The care would be in conjunction with surgical procedures performed at Northwell hospitals. 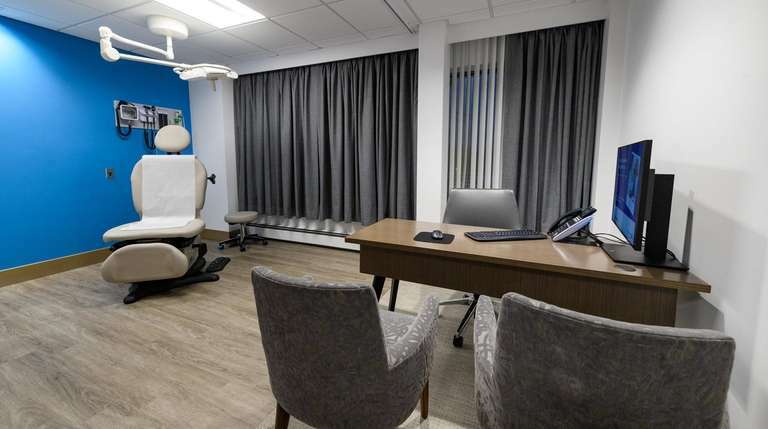 The facility, named the Gerald J. Friedman Center for Breast and Lymphatic Surgery, is staffed with five breast reconstructive surgeons who have performed thousands of microsurgical procedures, Northwell said. The center also includes physician assistants, nurse practitioners and medical and administrative assistants. It has six exam rooms, and an additional six exam rooms are available via a connected space. Northwell said the center, which first started seeing patients in late February, is supported, in part, by the Gerald J. and Dorothy R. Friedman Foundation, a longtime benefactor to Northwell Health. The health system didn't disclose how much the foundation donated. Northwell Health, with more than 68,000 employees, is the largest private employer in New York.